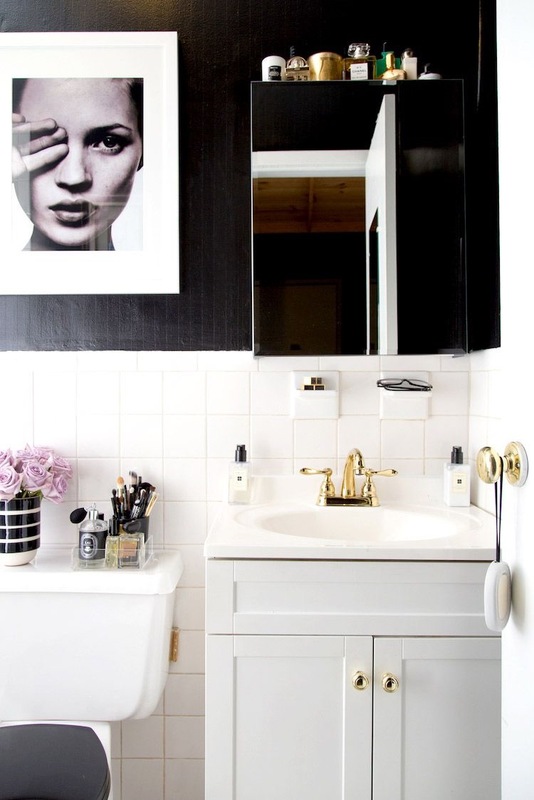 Make the most of your limited bathroom space with these storage tips. You’ll be able to keep everything you need right at your fingertips and still keep your counter space! 1. 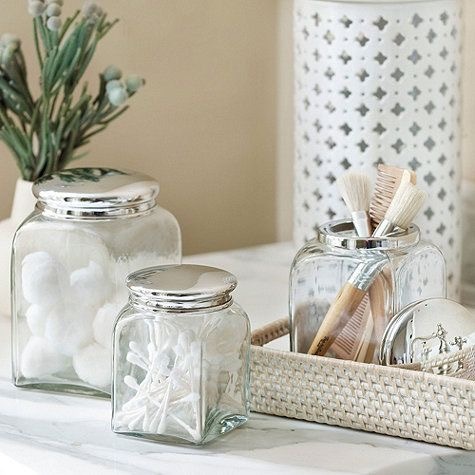 Glass containers and jar are perfect for holding small items like cotton balls and q-tips. Try mason jars or candle holders that can be found at your local arts & crafts store! 2. Small platers and plates are great for holding soaps and jewelry items. Yes, we said plates! Traditional plates with cool colors and patterns can be a great addition to decor and double for storage! 3. Baskets are great for storing towels or toilet paper. They can look nice hanging on walls, as well as sitting on shelves. 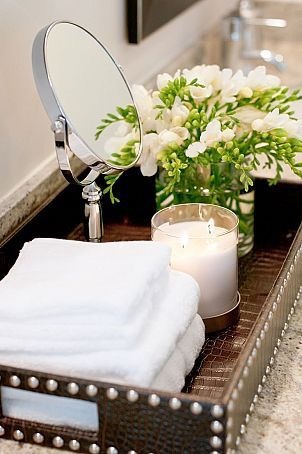 Baskets store multiple items, while still keeping with the theme in your bathroom. 4. 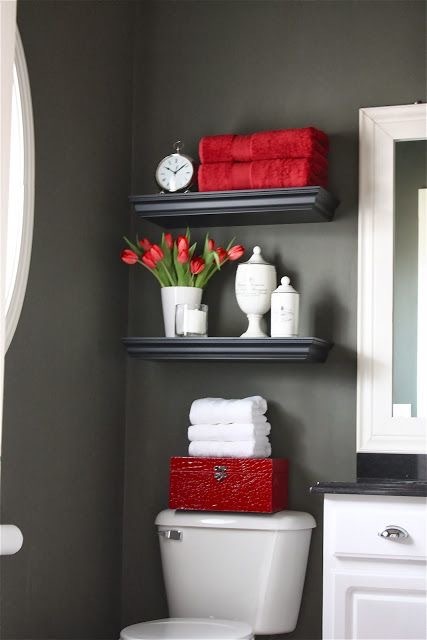 Installing floating shelves creates a sleeker spot for bath essentials, rather than a standing rack. It also leaves you with extra floor space in a smaller bathroom. 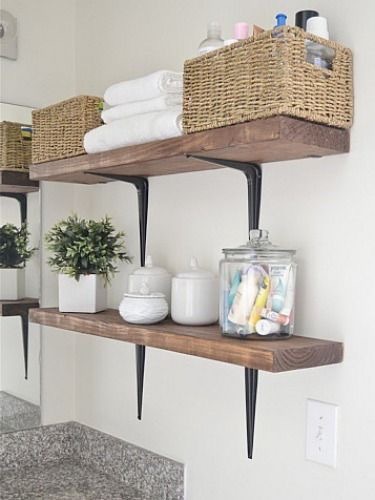 Super high shelves over door frames also add a decorative touch to bathrooms while still providing a spot for more bathroom products. For more lifestyle tips follow us on Facebook!